"Reconciling Lives to God Through the Word of God"
ANGELS BE WITH US ALL!!! bodies will be changed, and we also will be taken up to the clouds to meet Jesus, and we will forever be with Him! these concepts are found in I Thess. 4:13-17 and I Cor. 15:50-58. CAN CHRISTIANS MISS THE RAPTURE? you have done during your life. (James 4:14-25). THE RAPTURE IS NOT THE SECOND COMING!!! King of Kings and Lord of Lords. He will physically be on planet earth then and rule and reign for 1000 years. 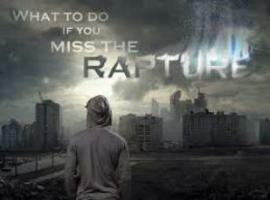 WHAT SHOULD YOU DO IF YOU MISS THE RAPTURE? your heart, confess it! That simply means tell it to God the Father! You can do it in the form of a prayer. now! Jesus, please come into my heart and be my personal Savior and Lord. Thank you Lord for saving me! In Jesus name I pray, Amen! You now belong to God and His Kingdom!!!! Romans 10:9-11.
the world will be under the control of an evil 3-some: the Antichrist, False Prophet, and “the Beast.” Rev. 13.
be thrown into the Lake of Fire! Those whose names are written in the Lamb's Book of Life will not take the mark! patient endurance and faithfulness on the part of God’s people! Rev. 13:10. Book of The Revelation of Jesus Christ (the last book in the Bible) for a better understanding of these events. sense to people who have accepted Jesus Christ as their Savior and Lord. Pray for understanding and wisdom!